The camera equipment carried on the Apollo-11 flight was comprehensive. In addition to the usual TV and small-film cameras on board, there was a special camera for near-distance stereoscopic shots of the moon. And, of course, there were also the cameras which, for this article, are the most important, viz., three Hasselblad 500ELs. Two of the 500ELs were identical to the ones carried on the Apollo-8, -9 and -10 flights. Each had its own Zeiss Planar f-2.8/80 mm lens. 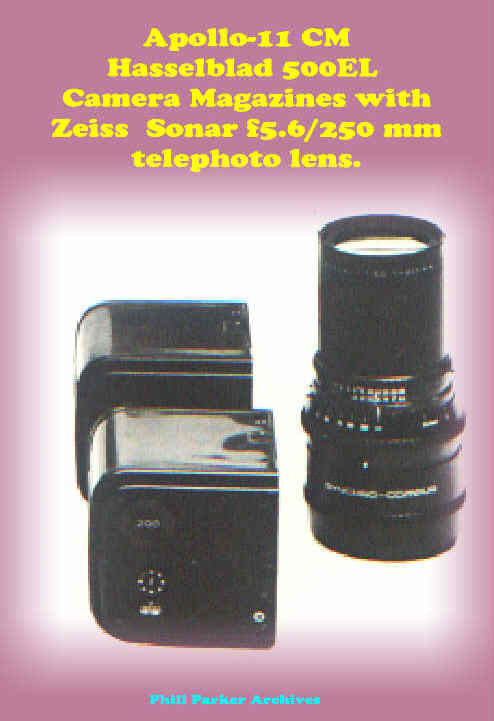 A Zeiss Sonnar f-5.6/250 mm telephoto lens was also carried. One of the conventional 500ELs, along with the telephoto lens and two extra magazines, was in the Apollo-11 Command Module throughout the flight. The other conventional 500EL, and two extra magazines as well, were placed in the lunar module. Also in the lunar module - and making its first journey in space - was a Hasselblad 500EL Data Camera, which was the one to be used on the moon's surface. 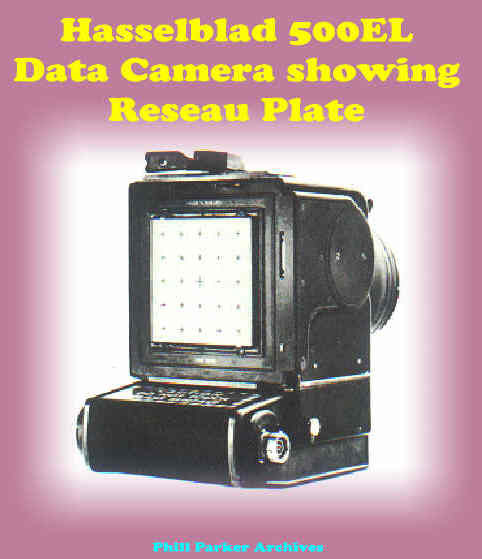 (1) The Data Camera was fitted with a so-called Reseau plate. The Reseau plate was made of glass and was fitted to the back of the camera body, extremely close to the film plane. The plate was engraved with a number of crosses to form a grid. The intersections were 10 mm apart and accurately calibrated to a tolerance of 0.002 mm. Except for the larger central cross, each of the four arms on a cross was 1 mm long and 0.02 mm wide. The crosses are recorded on every exposed frame and provided a means of determining angular distances between objects in the field-of-view. (2) The Data Camera was fitted with a new Zeiss lens, a Biogon f-5.6/60 mm, specially designed for NASA, which later became available commercially. Careful calibration tests were performed with the lens fitted in the camera in order to ensure high-quality, low-distortion images. Furthermore, the lens of the camera was fitted with a polarizing filter which could easily be detached. (3) The Data Camera was given a silver finish to make it more resistant to thermal variations that ranged from full Sun to full shadow helping maintain a more uniform internal temperature. 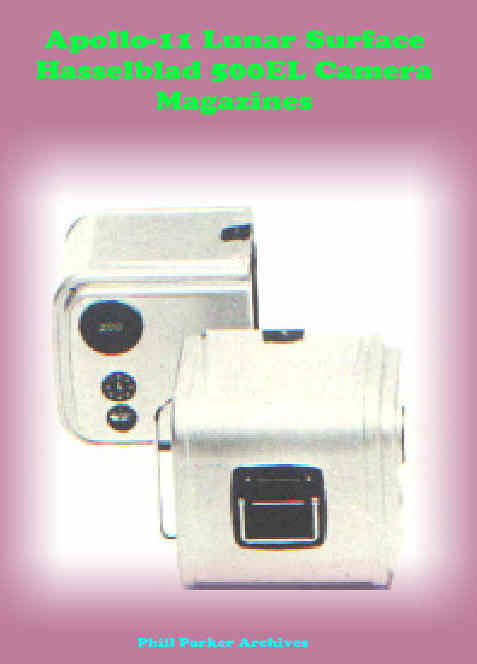 The two magazines carried along with the Data Camera also had silver finishes. Each was fitted with a tether ring so that a cord could be attached when the Lunar Module Pilot lowered the mated magazine and camera from the lunar module to the Commander standing on the lunar surface. The exposed magazines were hoisted the same way. (4) The Data Camera was modified to prevent accumulation of static electricity. When film is wound in a camera, static electricity is generated on the film surface. Normally, this electricity is dispersed by the metal rims and rollers that guide the film, and by the humidity of the air. In a camera fitted with a Reseau plate, however, the film is guided by the raised edges of the plate. As glass is a non-conductor, the electric charge that builds up at the glass surface can become so heavy that sparks can occur between plate and film - especially if the camera is used in a very dry environment or in vacuum. Sparks cause unpleasant patterns to appear on the film and can be a hazard if the camera is used in an atmosphere of pure oxygen. To conduct the static electricity away from the Reseau plate in the Data Camera, the side of the plate facing the film is coated with an extremely thin conductive layer which is led to the metallic parts of the camera body by two contact springs. Contact is effected by two projecting silver deposits on the conductive layer. The Reseau plate, or register glass, is not a new development in photography. 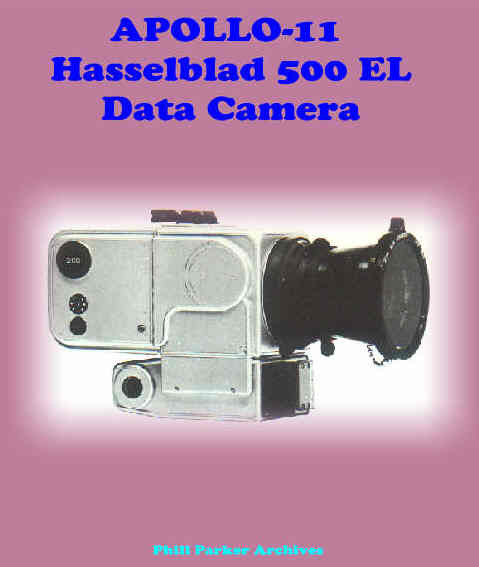 What is most remarkable, however, is that the group of Hasselblad staff working on NASA camera projects in collaboration with Carl Zeiss was successful in applying the idea to a small camera - like the Hasselblad 500EL Data Camera. 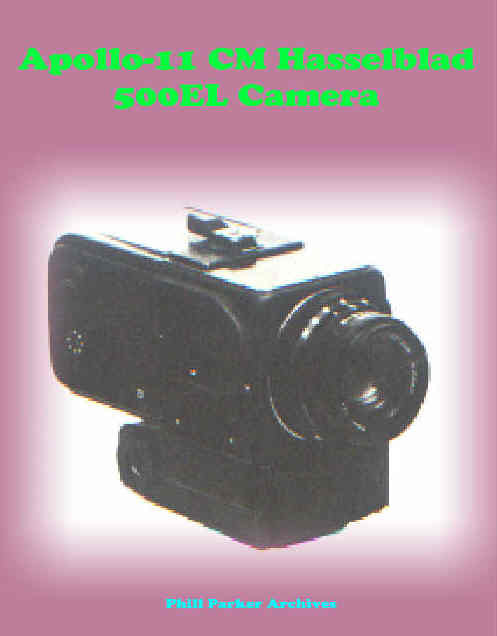 This camera is not only useful in space photography, it is particularly suitable for all kinds of aerial photography. The special cameras produced in the past for aerial photography were large and intended for a large negative-format - frequently meaning high prices. 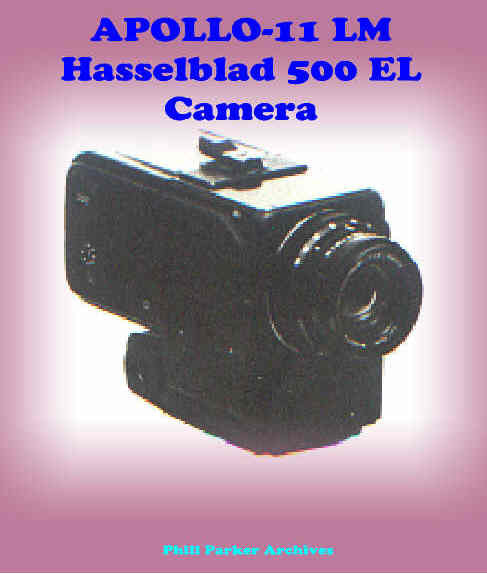 The Hasselblad 500EL Data Camera with its Reseau plate produced a small and comparatively low-cost camera which gave satisfactory results in aerial photographic work. Finally, The film used on Apollo-11 was the same type carried on the other flights - a Kodak special thin-based and thin emulsion double-perforated 70 mm film - which permitted 160 pictures in color or 200 on black/white in each loading. 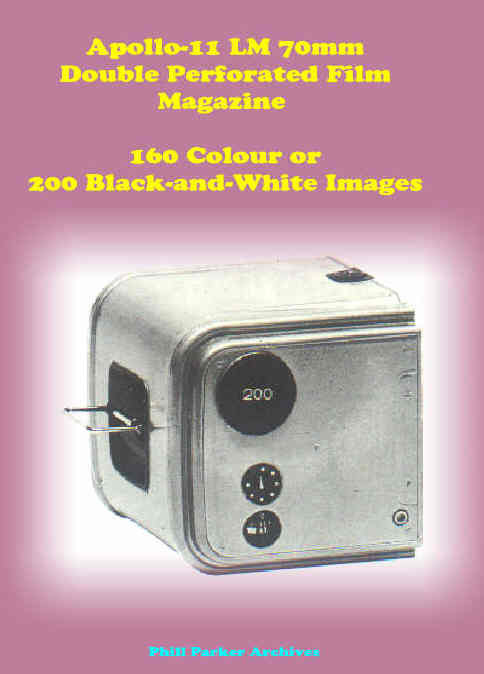 This article was prepared by Phill Parker (UK) from media material supplied by Viktor Hasselblad in 1969. Constructive editorial comments were furnished by Eric Jones (ALSJ).